You and your sister have been out of touch for some time, but now with the passing of your father, you need to track her down to deliver the bad news. She’s been working at a reclusive research facility in Oregon, but finding her is only the beginning. 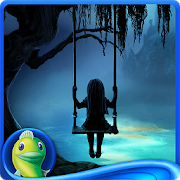 What used to be a fancy resort is now plagued by shadows, and the past is coming back to haunt you in this hair-raising hidden object adventure!